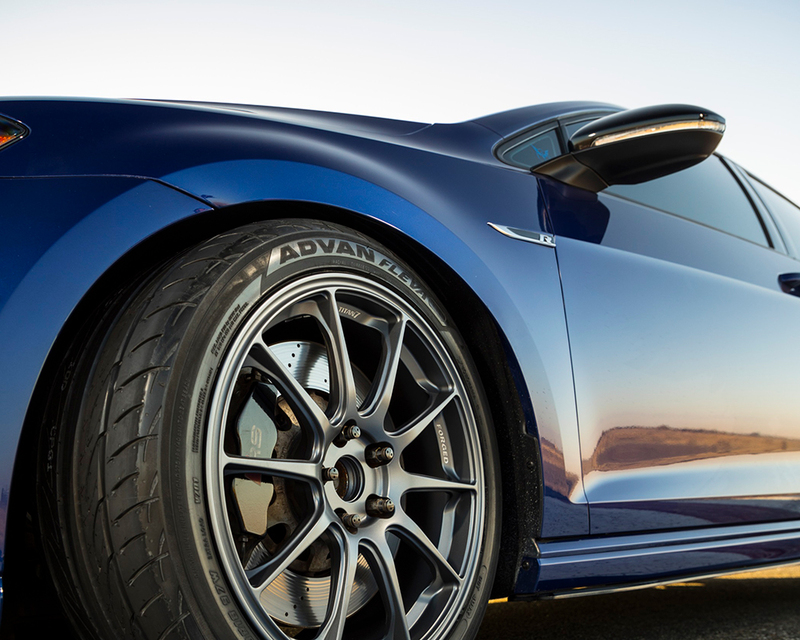 Yokohama Tire has added a new member to its iconic ultra high-performance ADVAN® line: the ADVAN Fleva™ V701. Now available in the U.S., the V- and W-rated Fleva comes in 67 sizes with 15- to 20-inch fitments, and offers superb wet and dry braking, crisp handling and a quiet ride. -- Powerful wet braking, which is achieved by jagged circumferential grooves that resist hydroplaning for shorter stops. -- Quick, precise handling thanks to solid outside ribs that increase block stiffness for high-speed stability. -- Excellent lateral grip for high-speed wet performance is provided by the drop point grooves which move the water from under the tread. -- A quiet ride is ensured via the offset tread pattern that increases stability and reduces pattern noise. More information on the ADVAN Fleva V701 is at yokohamatire.com/tires/advan-fleva-v701. Celebrating its 50th year in the U.S., Yokohama Tire Corporation is the North American manufacturing and marketing arm of Tokyo, Japan-based The Yokohama Rubber Co., Ltd., a global manufacturing and sales company of premium tires since 1917. Servicing an extensive sales network throughout the U.S., Yokohama Tire Corporation is a leader in technology and innovation. The company’s complete product line includes tires for high-performance, light truck, passenger car, commercial truck and bus, and off-the-road mining and construction applications. For more information on Yokohama’s broad product line, visit www.yokohamatire.com, www.yokohamatruck.com or www.yokohamaotr.com.